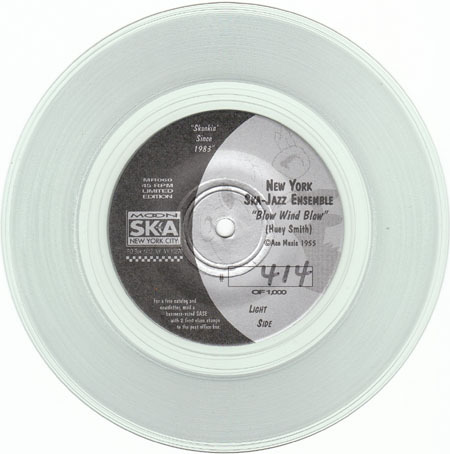 Blow Wind Blow b/w Jive Samba 7"
The Moon Ska clear vinyl series begins here. 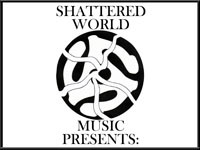 Moon put out ten different singles, limited to 1000 hand-numbered copies each. Half of them are very easy to locate and inexpensive. The other half can be very tough to track down, and some of those can cost into the $30 range. I never expected that the New York Ska-Jazz Ensemble to be one of the tougher finds, but I had to dig this up from an online retailer in France to find my copy. It should not be particularly expensive, but it seems to be pretty scarce. Both tracks are from the "Low Blow" album.